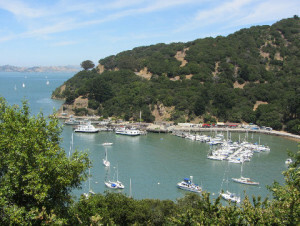 Discover Historic Angel Island with Captain Maggie & Crew of the Angel Island – Tiburon Ferry out of Tiburon, California. Discover Historic Angel Island State Park, San Francisco Bay’s largest island – which is easily accessible by Angel Island – Tiburon Ferry located on the beautiful Tiburon Peninsula. Three thousand years ago, Angel Island served as a fishing and hunting site for Coastal Miwok Indians. It was later the found paradise discovered by Spanish Explorer Juan Manuel de Ayala, which Ayala Cove Angel Island was named after. Angel Island has also been home to a cattle ranch, and a U.S. Army post starting with the Civil War. From 1910 to 1940, the island processed hundreds of thousands of immigrants, the majority from China. During World War II, Japanese, and German POWs were held on the island, which was also used as a jumping-off point for American soldiers returning from the Pacific. In the ’50s and ’60s, the island was home to a Nike missile site. 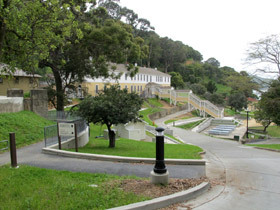 In 1946 the Quarantine Station located in Hospital Cove was declared surplus, and all functions were moved to San Francisco. In 1954 a number of citizen’s groups managed to persuade the California State Park Commission to obtain 36.82 acres surrounding Hospital Cove (aka Ayala Cove) for a State Park. In 1962 the Nike missile site on the south side of the island was deactivated, and the army left the island. In December of that year, the entire island was turned over to the State of California for park purposes – with the single exception of the Coast Guard station on Point Blunt, which continues in active operation to this day. Angel Island State Park Historic open air Tram Tour. 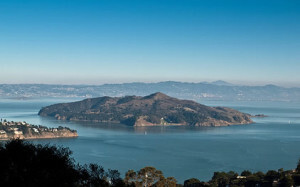 In addition to segue tours, and the ability to hike and bike around Angel Island, Angel Island State Park offers historic open air tram tours of Angel Island seven days a week April through September, and weekends during the Winter and Fall seasons. 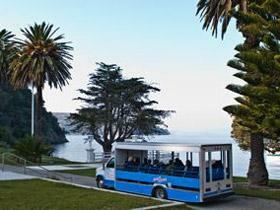 Click here for current Historic Angel Island Tram Tour pricing and schedules. 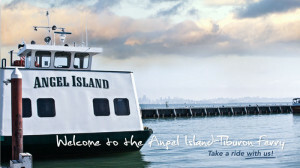 Angel Island – Tiburon Ferry’s Captain Maggie says: “Take a ride with us to Historic Angel Island State Park! The quickest, easiest and hands down most “authentic” way to get to Angel Island State Park is onboard the Angel Island – Tiburon Ferry, which offers numerous non-stop ferries to Angel Island State Park weekly via our 21 Main Street Dock located in the heart of Tiburon, California. Park Headquarters and the main Visitor’s Center are located in Ayala Cove on the North side, the Islands’ main point of entry. 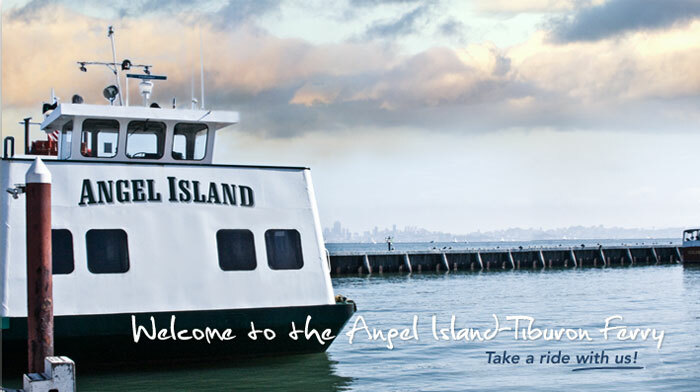 Click here for Angel Island – Tiburon Ferry’s current ferry schedule. Angel island, Angel Island Immigration Station, Angel Island military history, Angel Island State Park, angel island tran tours, Captain Maggie, historic angel island, how to get to Angel Island, Tiburon, Tiburon Ferry Schedule.